Malawi is a landlocked country in the south-western region of Central Africa, with Zambia to the west, Tanzania to the north and east, and Mozambique to the south and east. Lake Malawi forms most of Malawi’s eastern boundary. Malawi is a member of the Paris Convention, the Nice Agreement, and the Banjul Protocol of ARIPO, and the WTO/TRIPS. Provision is made for the registration of trade marks for goods (Part A or B of the register), for certification marks (Part C), and for defensive trade marks (Part D). Malawi is a member of the Paris Convention, ARIPO (Harare Protocol), the PCT and the WTO/TRIPS. Malawi is also a member of the Strasbourg Agreement on the International Patent Classification. Patent protection is available by way of a national filing or via an ARIPO application designating Malawi. The Act expressly recognises the Harare Protocol of ARIPO and provides that a patent granted under the Protocol (and designating Malawi) shall have effect in Malawi as if it were granted under the Act. It would appear, therefore, that valid patent protection could be obtained via an ARIPO application designating Malawi. However, Malawi has not yet promulgated regulations to implement the Harare Protocol. Accordingly, there is uncertainty regarding the enforceability of rights obtained through the filing of an ARIPO application designating Malawi. Malawi has not yet amended its laws to provide for the PCT. Accordingly, it is not certain whether valid patent protection can be obtained via a PCT national phase application in Malawi. Malawi is a member of the Paris Convention, ARIPO (Harare Protocol), the Locarno Agreement on Classification of Designs and the WTO/TRIPS. Design protection is available by way of a national filing or via an ARIPO application designating Malawi. The Harare Protocol is recognised in the Act, and there is a provision that a design registered under the Protocol shall have effect in Malawi as if it were a design registered under the Act. However, Malawi has not fully implemented the Harare Protocol (which regulates patent and design filings in ARIPO) in its national laws. Accordingly, it is unclear whether any valid rights would be obtained by way of an ARIPO design registration designating Malawi. 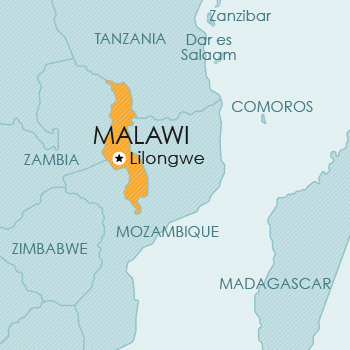 Malawi is a member of the Berne Convention. typographical arrangements of works published in Malawi. photographs, works of artistic craftsmanship. Folklore is defined to mean literary, dramatic, musical and artistic works belonging to the cultural heritage of Malawi created, preserved and developed by ethnic communities of Malawi. Currently, no legislative provision for plant breeders’ rights or other sui generis protection for plants is available in Malawi.